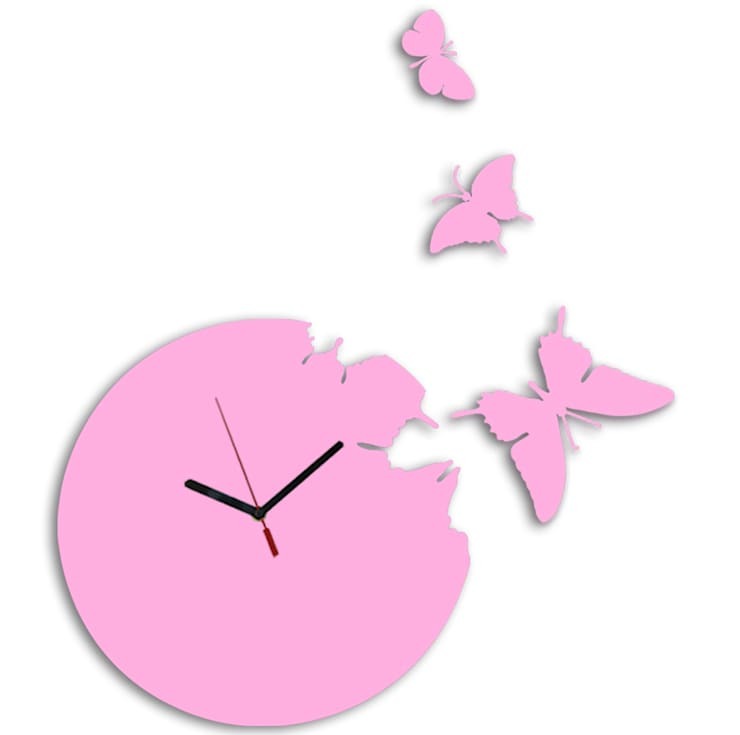 A delightful modern clock in a bright pink, the Butterfly clock is just the thing to make a feature in any room. If you love the cheerfulness a splash of pink adds to a room, you will adore this contemporary design. It is crafted from lacquered steel meaning that it is not only extremely pretty but also high-quality. The intricacies of the design can be seen in the detailed negative cut-outs in the clock face. With a trio of butterflies bursting from this unique wall clock, your room will instantly have a feature worth talking about.